Note taking in class or in the office is a system that requires attention and concentration. In case you're lacking in both, Livescribe has a solution for you. 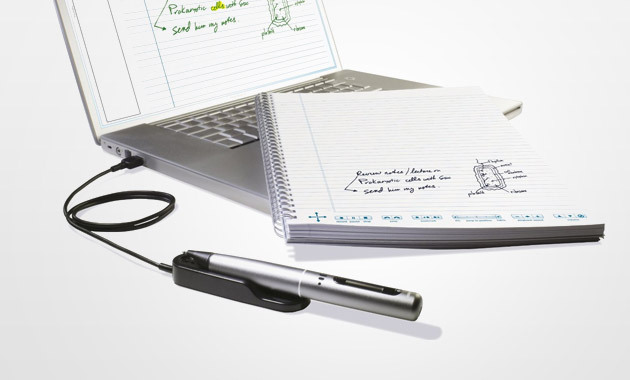 The Pulse Smartpen ($180) can record up to 32,000 pages of notes that can be easily transferred to your Mac or PC for later reading. Even better, the Pulse can also capture over 200 hours of audio in case you miss jotting down important information or accidentally doze off during your weekly meeting.